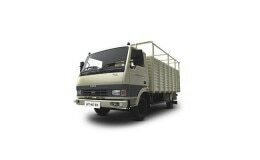 SML Isuzu was established in the Indian market in 1983 as Swaraj Vehicles Limited for the manufacturing of Light Commercial Vehicles. The company in 1986 renamed as Swaraj Mazda Limited and finally in 2011, rechristened to SML Isuzu Limited which is a joint venture of Sumitomo Corporation and Isuzu. The firm with the strong presence in commercial vehicle industry has been offering a range of trucks and tippers to meet the demands of the growing Indian market. Some of its most popular trucks available in the market are SML Isuzu Sartaj 5252 XM, SML Isuzu Cosmo and SML Isuzu Sartaj HG 72. The SML Isuzu truck price range starts from INR 7.09 lakh while SML Isuzu tipper price starts from INR 8.39 lakh (ex-showroom). The company has made swift transition towards BS-IV vehicles. SML Isuzu Sartaj HG 72 is available with BS4 engine since 2012 and other models are being endowed with Common Rail Cool EGR technology. SML Isuzu has over 120 dealership network present across the country which also supply spare parts and provide all kind of servicing. Besides successfully launching their products in the domestic fold, the company also exports a sizeable number of overall production to countries such as Sri Lanka, Bangladesh, Nepal and African countries. SML Isuzu has rightly sensed the growth potential in Indian commercial vehicle sector and is putting its shoulder to the wheel in a bid to gain maximum market share.